Read what some of our satisfied insurance customers have to say about John Diana Insurance Agency! Rated 5 out of 5 based on 223 rated reviews. 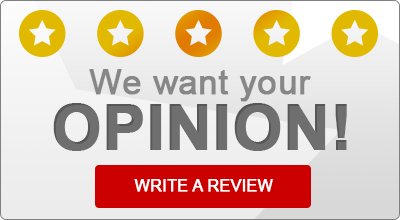 “I would definitely recommend John Diana Insurance Agency. The staff is wonderful and will help you any way they can..
“this insurance company is great..i have had several times when I needed to get my rates down and they cane thru.what a great place.i tell everyone about John diana….maybe they don’t believe me..but they are great!!! “Both my auto and car insurance premiums were cut in half by Erie with the same/or better coverage than I had with Nationwide! And the people at the John Diana Insurance Agency were the kindest and most helpful I have ever encountered. They made me feel like the truly cared about me and my insurance needs—and they did! They made me feel like a part of their family! And, Erie is ranked 3rd among all insurance companies by Consumer Reports! “I have been dealing with this outfit for several years and every time I am there the staff is pleasant and very professional. I recommend them to everyone I know and they will work with you and get you the best deal for whatever possible policy you are looking for. Highly recommended !!! “If your looking for insurance at a great price call John Diana! Great people, always answer any question you may have to make sure you get the best price and great coverage! “This Company is by far the best I’ve ever dealt with. Tom was very helpful and answered any and all questions I had to my satisfaction! He helped save me a LOT of money. I used to have Nationwide but never again. There is so much satisfaction of having a live agent representing you and being there if you have any questions or issues. I will definitely recommend this agency to friends and family. Very grateful for having them for my insurance needs!! “I would recommend this company, they are always very nice and courteous whatever I stop by.We had this agency for 15 years, they always worked with us whatever we needed. “Requested a quote yesterday morning around 8am online. Had a call back that same morning. Quotes all worked out by the afternoon. i went in today and met with Tom. He was great. Very thorough, organized and easy to talk too. Office staff were very welcoming. Excited to save some money from now on & be with Erie. “I absolutely love their attitude and their helpfulness and not to mention the prices are awesome! They helped me so much for being only 18 the price was absolutely great! “great insurance agency! they found me better and cheaper car insurance, their employees are vary nice and get back to you within 24 hours! “Amazing help… went in for some quotes on auto insurance and walked out with amazing coverage for auto and renters insurance… keep up the great work!!! “Tom Bonner is such a huge help with insurance, I nothing about house insurance and recently inherited my mother’s home. He took the time to explain everything to me and help me get the best insurance I need for the home. I would highly recommend going to Diana Insurance and speaking with Tom for all your insurance needs, Thanks again Tom.